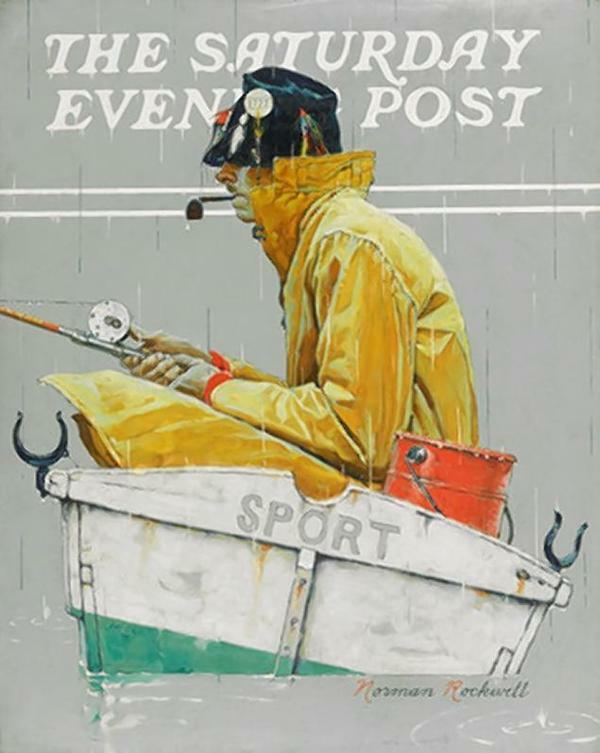 “Sport,” a typical Norman Rockwell piece mixing art, humor and whimsy, made it to the cover of the Saturday Evening Post during the first year of the magazine’s existence. In May of 2013, the original was sold at Sotheby’s for $1,085,000. However, in September 2013, and before it was shipped to the new owner, the painting disappeared from the Queens, New York storage facility where it had been maintained. Not to worry. This story has a “happy” ending. Perhaps, at first it seemed like a fine idea for the thief to quickly snag the piece. But, as with most art thefts, second thoughts may have occurred after the theft was executed. Maybe it was the realization that one cannot simply sell such an iconic piece of Americana while it is being actively sought by authorities. Ouch! Any attempt to sell the artwork, other than by highly discreet private sale, would be frustrated. And the so-called, rumored channels in the art world to dispose of stolen works exist in whispers, if at all. Any purchaser under such circumstances would have to disgorge the painting at the first public hint that his title had failed. That would mean such a collector could not display the painting any place where people could see it. So, what fun is it to have such a painting? Such is the benefit of living in a world of instantaneous information. The legal issues are speculative in the face of silence from the parties but are fascinating to consider. Who owns the artwork if insurance has been paid to the owner from whom it was stolen? If private arrangements were paid as “ransom” for the piece, are those arrangements enforceable? Can they be rescinded? From a business perspective, does the theft add to the provenance and mystery of the piece. In other words, does the theft, ironically, enhance value? Those questions and others notwithstanding, we are thankful at least that the Sport has now been returned to its rightful owner who, we hope, will allow public access and enjoyment. We are also thankful that Mr. Golemis decided to take a drive one day.